With over 1300 new properties being built in the local area, Hertsmere Borough Council identified a real need for more play, engaging play and more opportunities to become more active for the growing community. Through S106 funding from the local developments, Hertsmere Borough Council were able to transform Meadow Park. Meadow Park had previously been a large open grass space used as a cut through which local residents used occasionally, the Parks team were looking to achieve a play and fitness area that was fun and people wanted to enjoy and an area that got everyone in the community active in a fun and social environment. There were three key objectives of the new play provision; to have a WOW factor centrepiece that was unique and stood out acting as a signpost for the whole community to see it’s a place to play, an inclusive toddler area for all ages and abilities and to be themed based on the top TV programmes and films produced by Elstree Studios, also based in Borehamwood. 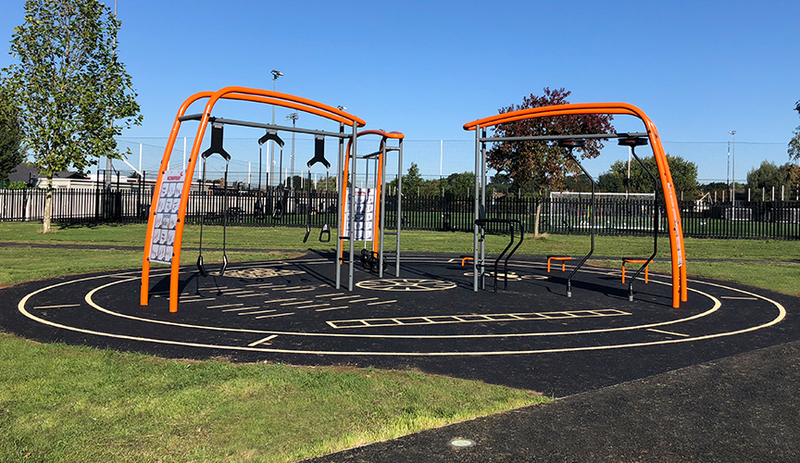 Alongside that, Hertsmere Borough Council were looking for a supplier that was really keen to buy into the project and work with to develop the design and made sure all of the goals were achieved, as well as equipment that was long-lasting and striking. Junior Activity Zone: Designed to keep youths active, the junior zone has an assault course flow to the design taking you from one piece of equipment to the next. From the 12m long rope bridge to the double carousel, through to the WOW factor centre piece – the large rope play tower which sits at 7m tall. Once you’ve climbed to the top through the close-mesh inner rope structure you can take the slide to hurtle back to the ground! 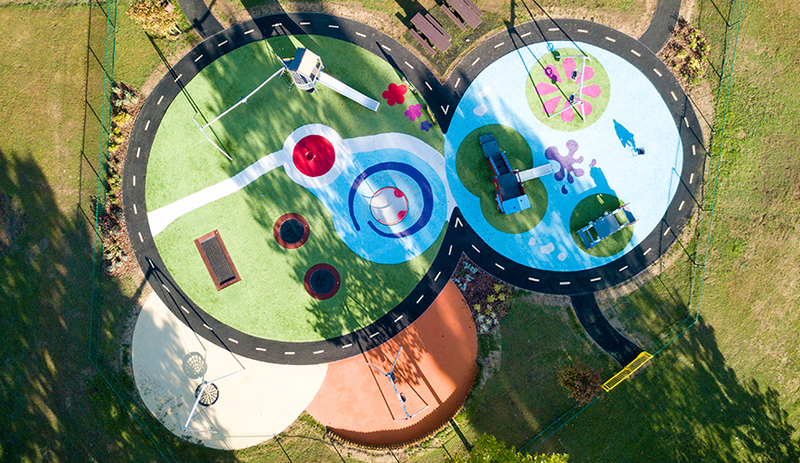 Inclusive Toddler Zone: Designed with a space and galaxy theme, the surfacing is bright and colourful at varying levels with mounds to encourage children to explore different levels. Three trampolines are set at varying levels with a wheelchair trampoline at surface level so all abilities can join in. 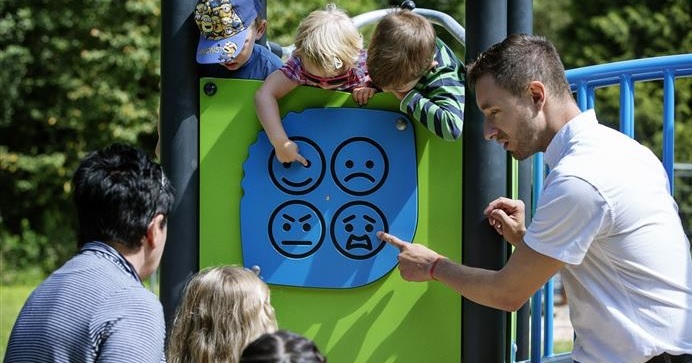 The toddler area also comprises of several double-sided play panels including a musical panel, what’s the time panel and spinning wheels panel, supporting cognitive, creative and social development. 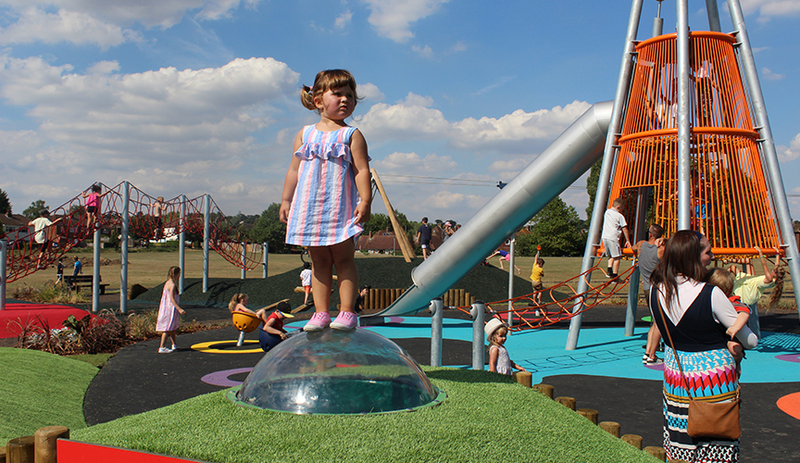 The Toddler zone also includes an inclusive roundabout, basket swing, two play towers and two sets of swings – keeping the younger years occupied for hours! Fitness for All Zone: Including state of the art outdoor cross training equipment suitable for all ages and abilities this area has been placed next door to Borehamwood Football Club which is also home to Arsenal Ladies Football Club. Anyone can use the fitness zone due to its scalable equipment – from kettlebells at varying difficulties, TRX style rope suspensions at different heights and line markings to challenge your agility. Since the installation Meadow Park is no longer used as a cut through and is used as a meeting point for parents and toddlers, a social place after school with friends - a place for the whole community to enjoy. The two play areas and the outdoor fitness equipment have been a massive success with the local community. The playgrounds are constantly busy and there are lots of repeat visitors, which is great and ticks all those boxes of why we wanted people here; to bring them together and encourage social inclusion and physcial activity.